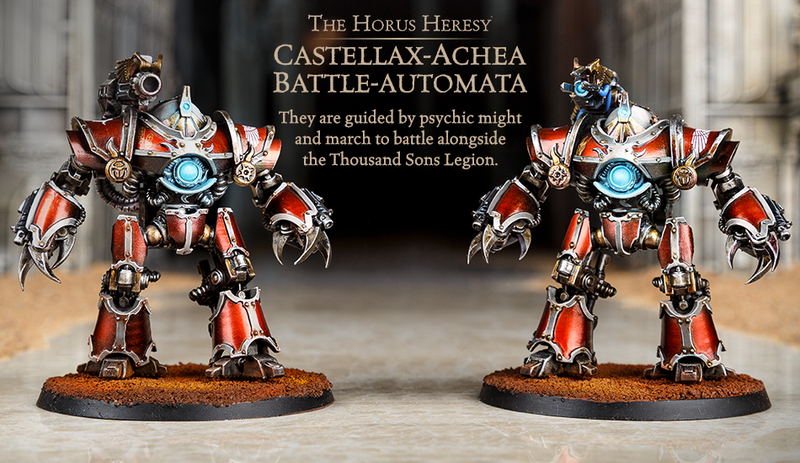 Two ends of the spectrum on display from Games Workshop in their Pre-Orders. On one hand, there's the Reaver Titan for Adeptus Titanicus, available single or in a maniple. Then you've got a Nurgle team for Blood Bowl, along with accessories and some dice. The American Football Season is nearly upon us. At my old LGS, that meant a Blood Bowl season was also going to be upon us. Coaches would be getting their teams out, updating their rosters, and sometimes getting new teams. If you're in the league for a new team, Forge World is there for you, along with a new start players and some cheerleaders for the sidelines. Ready! Set! Hut! Hut! Omaha... Hike! The gridiron knows no downtime on the tabletops of the world. The Blood Bowl pitch is always ready for a game. But what teams will play on it, and which pitch will they play on? Games Workshop is taking pre-orders for a new Dark Elf team, as well as some new accessories and a couple of pitches. 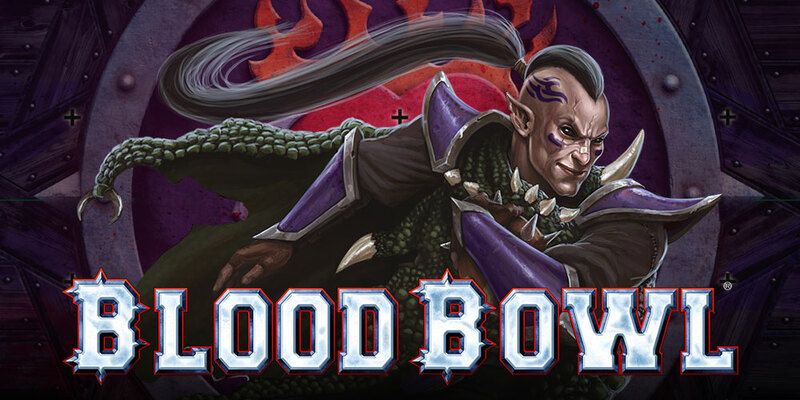 The world of Blood Bowl has many legendary players. But few are as legendary as Josef Bugman. Player, coach, master brewer, he does it all. And Forge World is taking orders for two new figures for him over on their website. Get yours now before the season begins. The American Football Season is still a little bit away, but it's drawing ever closer. Soon, players will be hitting the gridiron. 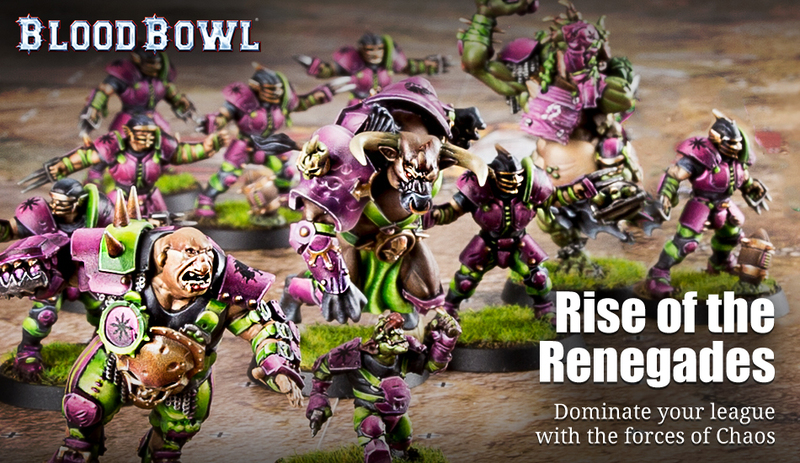 Of course, you can play year-round when you play some Blood Bowl. And for those coaches looking for a new team, you might want to check out the upcoming Naggaroth Nightmares. We get a look at them in this preview. Over the next three days, high school, then college, and then pro football players will be hitting the gridiron to see who is the best. I'm sure that there are many of you out there that will also be hitting the tabletop gridiron to prove much the same in games of Blood Bowl, as well as games of 40k. Well, Forge World is here to bring you a new team, as well as a new Nurgle Daemon Prince to bolsters your forces. Forge World once again has two far ends of the spectrum available to order from this week. 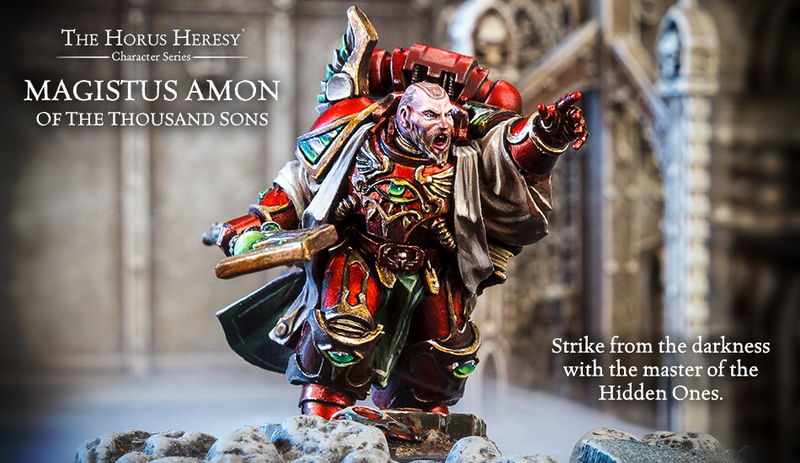 For you 40k (or, I guess, technically, 30k) fans, they're expanding their Horus Heresy Characters range with Magistus Amon of the Thousand Sons Legion. 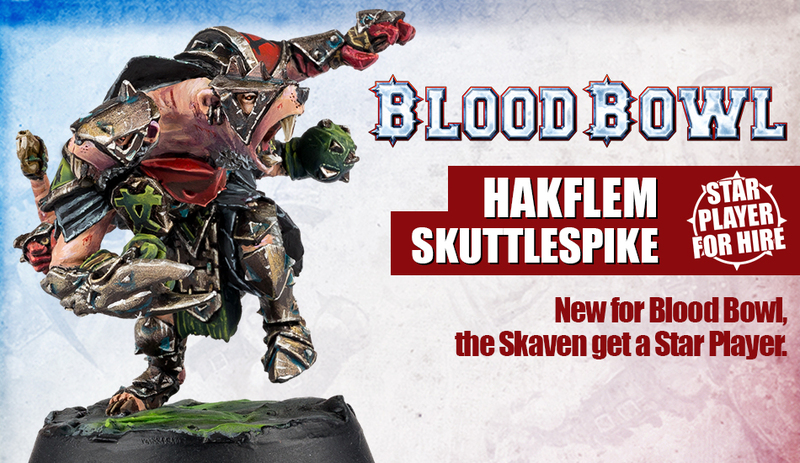 Meanwhile, on the Blood Bowl pitches, Skaven players can recruit Glart Smashrip to their team. It goes without saying that Games Workshop has been making miniatures for quite a long time now. Many sculpts have come and gone, thought to be never seen again. Well, occasionally, they'll grab some molds from a bygone time and whip up some figures if you ask them nicely. For Blood Bowl coaches, there's some classic teams that will be available next week, for one week only, that you can special-order. 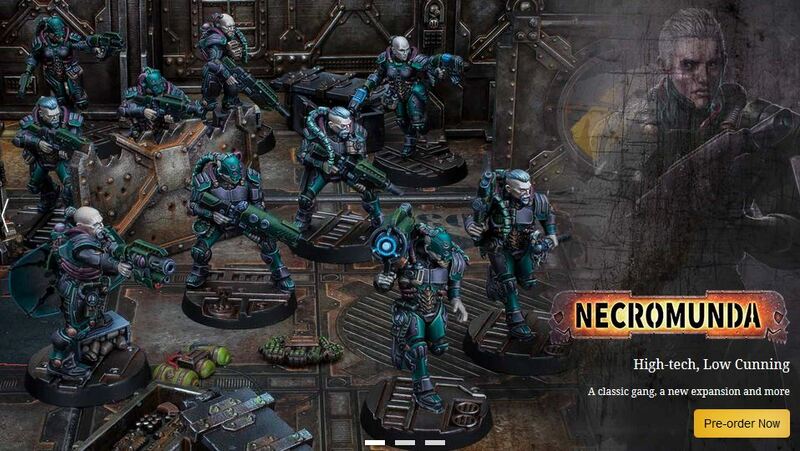 It was hard to decide which item to feature here for this latest set of releases from Forge World. They didn't have anything last week, but they've certainly made up for it this week. 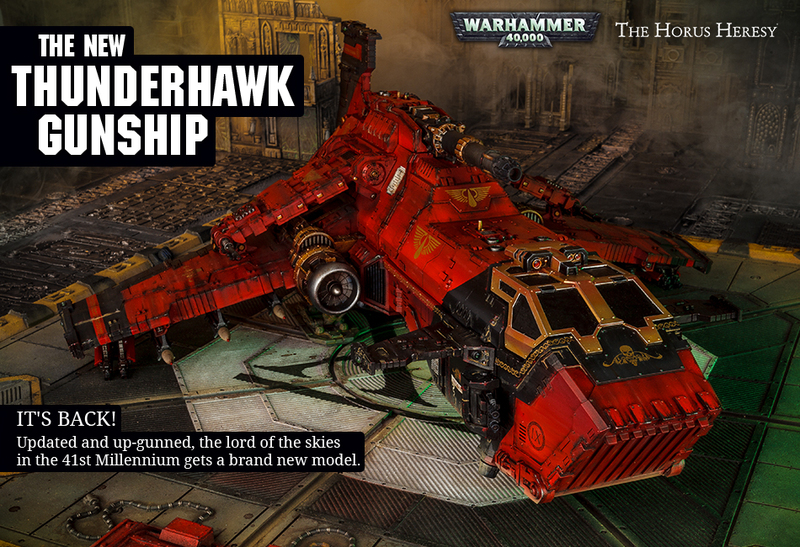 There's a new version of the famous Thunderhawk Gunship, a pair of new Imperial Armour books, and a set of several Star Players for Blood Bowl. 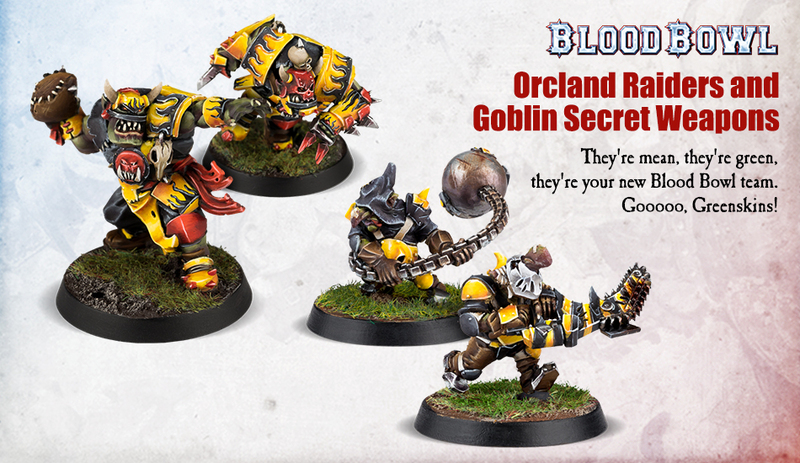 The new season of Blood Bowl is now available to order from Games Workshop. If you were hoping for some of the teams from the older version of the game that weren't there in the latest version (for example, Lizardmen for me), you'll be happy to see that they're here, as well as some new teams, as well as expanded league rules, updated general rules, and more. Some people see rats as pests. Others see them as pets. Still others see them as a force to be reckoned with on the battlefield or pitch. That last group are Ratling players. They should be excited about a new Star Player for Blood Bowl and a Verminlord for Age of Sigmar being available to order from Forge World. Once again, we've got two very distinctly different releases available from Forge World on the same day. 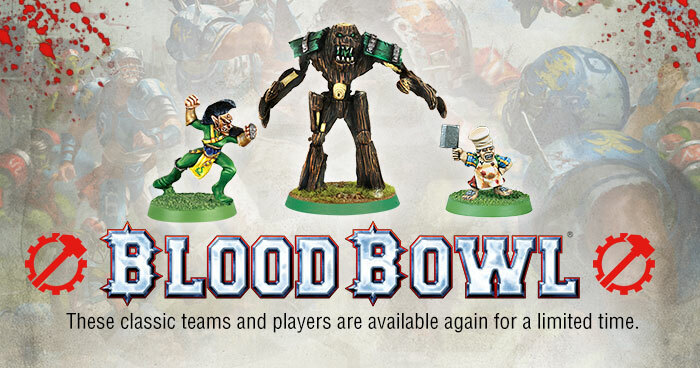 Whether you're looking for a new Blood Bowl team to put onto the pitch or some giant battle robots, they've got you covered. With a library of miniatures going back literally decades, Games Workshop couldn't realistically keep everything they've ever made in stock. That'd be ridiculous. But since they aren't made regularly, some older pieces can be really hard to find. Well, occasionally, GW will dive into the vault and come back out with some models they're willing to spin up for you. And that's just what they're doing now with certain Blood Bowl teams and players. On just about every Blood Bowl team, you'll have "the big guy." You know, that one player who literally towers above the rest, daring the opponent's players to try and tackle them. For many, that "big guy" comes in the form of a Troll, and Games Workshop has started taking orders for a new one over on their website. 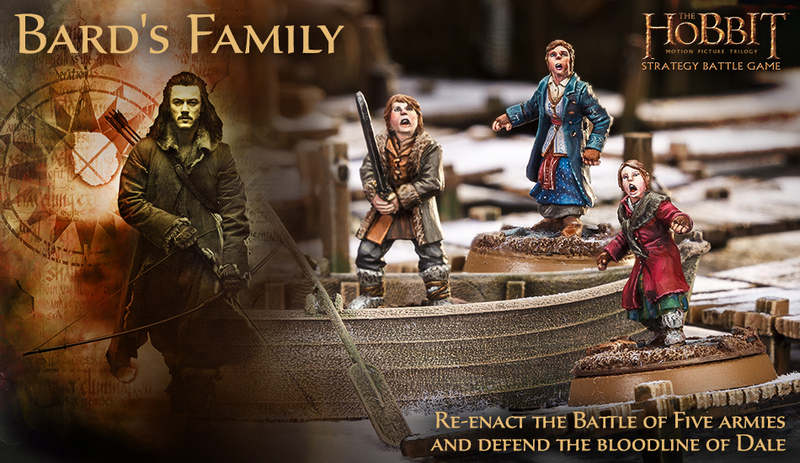 They've also got a pack of Special Play cards, plus a bunch of hobby tools with which you can put your team together.